As some of you may have heard, our friend and fellow Canadian rider Ben Leclair had a very bad crash wakeboarding in Florida and underwent spinal sugery in Orlando. We don’t know the extent of his injuries just yet, but we do know that Ben will need the support of the entire wake community to help in his recovery. A web page has been set up with Road2Recovery where everyone can make a donation to assist with Ben’s medical expenses. Even though the fundraising target is $250,000 every little donation will make a big difference to support Ben and his family through this unfortunate time and recovery process. Please use only the hashtag #BenSquad, if you post and share anything on social media, so that Ben can look at what everyone is posting and see the collective support for him. Please join all of the wake community in supporting Ben. For more insight on Ben’s injury and what you can do to help please click this link to watch a video from Brad Smeele. @KevinHenshaw : I just want to update everyone on Benjamin Leclair. It’s still to early to say an outcome but I can say he is in good spirit and has an amazing support group around him! I was able to work with @bradsmeele and the guys from @road2recovery and we have moved fast to get as much support as possible for what’s to come for our amazing strong and talented friend Ben. If you can go to this Road2Recovery website and donate to help him and his family with this unfortunate time in their life anything truly helps as there is a lot to cover. If you are to post anything on social media, we ask that you only use the hashtag #BenSquad, nothing else so he can look at what everyone is posting and see the love and support he has around him. @Alex_Savoie : My friend Ben Leclair had a spinal surgery after a hard wakeboard crash. Ben and his family need your help since it’s really expensive staying at an United States hospital. Please go to Road2Recovery to go donate what you can. We are with you Ben Leclair. Mon ami Ben Leclair a subi une opération cervicale dernièrement après un grave accident en wakeboard. Ses soins à l’hôpital au États-Unis sont très dispendieux, Ben et sa famille ont besoin de votre aide et vous pouvez le faire en donnant. On est avec toi mon chien! @DylanMiller : It’s time to take our thoughts and turn them into actions. As you all probably already know our friend Ben Leclair has suffered a serious spinal cord injury. There is a page set up to financially assist him and his family with this unfortunate situation. Let’s all work together and show our support. Please use #BenSquad to show your love. LETS DO THIS PEOPLE!!!!! @pointes_wake_park Ben Leclair has been involved in a life changer wake accident last week end in Florida. Actually in Orlando with his family, he needs our positives vibes and toughts. You can also help him and his family by donating what you can at Road2Recovery. Ben Leclair a été impliqué dans un accident de wake qui change une vie en fin de semaine passée. Actuellement à Orlando avec sa famille à ses côtés, il a besoin de vos ondes et pensées positives. Vous pouvez aussi aider en faisant un don Road2Recovery. #bensquad On t’aime mon gars! @DustinOferrall : #BenSquad Sending good vibes an prayers to our Canadian friend Ben Leclair and his family, as he’s fighting from a serious spinal injury crash on his wakeboard. There’s been a financial assistance page setup for everyone to help come together to donate to help out in the medical costs, an recovery, in this time of need for Ben and his family. Road2Recovery is where ya gotta go. Updates, on how he’s doin, as he gets through this! We love you dude, you’ve got an entire industry of good people behind you. You got this! PLEASE take a minute to donate! @TaylorHanley : My good friend Ben Leclair has had a serious crash while visiting Florida and has undergone spinal surgery. There has been a financial assistance page setup on Road2Recovery to help him and his family in this unfortunate situation. Please take the time to Donate, anything will go a long way. You got this Ben! We love you! @TomFooshee : Hey guys, a good buddy of mine, Ben Leclair has had a tragic accident wakeboarding and needs our help. Please, if you can head to Road2Recovery and help donate to Ben’s cause as his medical bills and surgeries will not be cheap. @Area52.tv : We are part of the #BenSquad and you should be too. Head to Road2Recovery website and help support Ben and his family through these hard times to help Ben get back to being one of the best athletes out there. @SlingshotWake : We had the opportunity to visit Ben Leclair in the hospital today and have spent the afternoon with his closest friends and family members. Ben has a big fight ahead but the expressions on his face during the visit today spoke volumes about his determination to win this battle! A huge thanks goes to @kevinhenshaw who was with Ben at the time of the accident and has been by Ben and his family’s side ever since. Please go to the donation page that has been setup with Road2Recovery ( much thanks to fellow ripper @bradsmeele ) where you can make a donation to help bring our brother back to good health! Along Ben’s road to recovery please use the hashtag #bensquad to show all of your love and support! You’ve got this Ben! 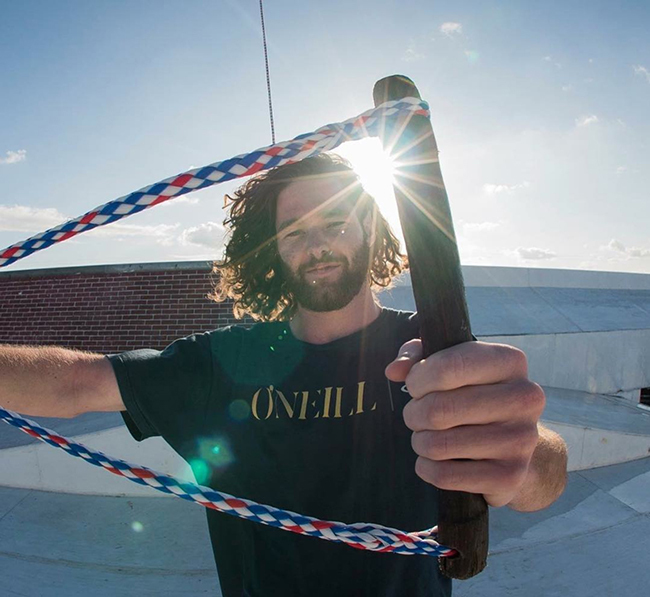 @oneillUSA : Our friend and team rider Ben Leclair has suffered a serious spinal cord injury. There is a web page set up to financially assist him and his family with this unfortunate situation. Let’s all work together and show our support. Please use #BenSquad to show your support. Visit Road2Recovery to see how you can help. @roswellmarine : Thoughts and prayers to our good friend Ben Leclair please join #bensquad and donate to Road2Recovery and help out on his road to recovery.